It seems the Windows 7 pre-sale has been a lot better than even Microsoft expected - which prompted PC World to declare it the "fastest selling software ever." Amazon is no longer taking pre-orders of any of the versions. PC World's parent company DSGi said that demand in the first 12 hours of pre-order launch saw sales of Windows 7 exceed 25 per cent of DSGi's total annual sales of Windows Vista. That's some figures. DSGi says the operating system is still available from PC World online as well as Currys with a free PC Health Check worth £29.99. It guarantees anyone placing an order a copy of Windows 7 when it arrives on shelves on 22 October. Home Premium is £45 and Professional £90, which are also the prices at Comet. MicroAnvika appears to be still offering copies at the promotional prices too. Staples is offering Windows 7 Home Premium at £51.23 inc VAT (as it normally works on exc VAT prices) and Professional at £102.47. Play.com still has copies of Windows 7 Home Premium and Professional Editions available, but it has upped the prices to £80 and £100 (the standard post October, pre-January launch prices). Demand yesterday was fierce. The Microsoft Store was down after the site slowed to a crawl early yesterday morning and now is only offering the software at the more expensive rates. The Home Premium and Ultimate versions of Windows 7 E remain at the top of Amazon's software chart but the software is no longer available. The offer was scheduled to run until 9 August, but is limited to a quantity Microsoft is remaining tight-lipped about. Attempting to pre-order at Tesco now takes you to the strangely-named Microsoft Windows 7 Home Professional - actually Professional on sale for £100. No pre-orders are available at eBuyer.com. 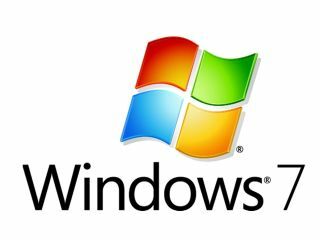 Engadget also reported that the Japanese pre-sale of Windows 7 sold out within 1.5 days and that the quantity involved was 30,000 units. A notice on the Microsoft Store told customers: "Due to the eagerly anticipated Windows 7 pre-order offer we're experiencing a higher level of demand on our website than usual. "This means you can't access the site right now and we're sorry about that. We'll be back up and running as soon as we can so please try again soon to get your hands on a copy of Windows 7!"